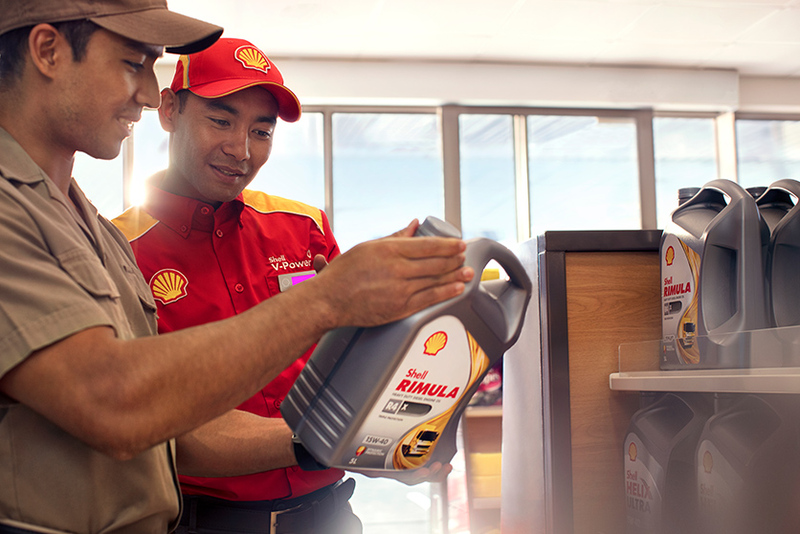 Marketing represents Shell’s customer-facing businesses: Retail and Global Commercial. Our products are marketed around the world for domestic, industrial and transport use and include transport fuels, bitumen, lubricants, sulphur, bitumen and convenience retail. Shell Retail is the number one mobility retailer in the world, serving around 30 million customers a day, processing 11 billion transactions annually across a network of more than 44,000 Shell stations in more than 75 countries. Scale, a leading brand and differentiated products and services are key to our success. Our brand is number one in 50 countries, out of the 64 measured by Ipsos & Kantar TNS [A], and more than one in every five customers worldwide prefer the Shell brand, if given a choice. People – are at the heart of the Shell culture. We pride ourselves on having more than 500,000 front-line service champions who are confident, empowered and proud to represent the Shell brand. We have one of the largest global employee-recognition programmes, People Make the Difference Real, in which the best front-line service champions from across the world are invited to an annual event where the best service champion is crowned. Fuels – Shell V-Power is the most successful premium fuel in the world. Shell established this category of fuel over 20 years ago and it now makes up close to 20% of our total branded fuel sales. We have a strong innovation partnership with Scuderia Ferrari. This partnership enables our scientists and engineers to develop cutting-edge fuel technologies for the racetrack that can be used to make better road fuels for our customers. 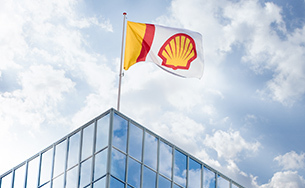 In line with the Royal Dutch Shell purpose, we are also focused on producing more and cleaner energy for our customers by enhancing the performance and efficiency of our current gasoline and diesel and by maintaining our position as the leading marketer of low-emission energy such as hydrogen, biofuels, LNG and electric vehicle (EV) charging. E-Mobility – Shell Retail is rapidly expanding its electric vehicle charging offer for customers. We have our own charging brand Shell Recharge in the UK, the Netherlands and China, as well as chargers across Europe through our partnership with IONITY, a joint venture of automotive manufacturers. Together with IONITY, we will offer around 500 high-powered chargers across 10 European countries. These chargers are complemented by the extensive NewMotion network. Shell Fleet Solutions – With mobility growing rapidly, this business is an important part of the Shell Retail business, with 2 million daily customers using Shell cards at more than 200,000 roadside locations worldwide. Shell Fleet Solutions is the biggest global provider of fuel and road services for businesses, with 7 million fuel cards in circulation. This business turns over $2 billion in road services, alone. 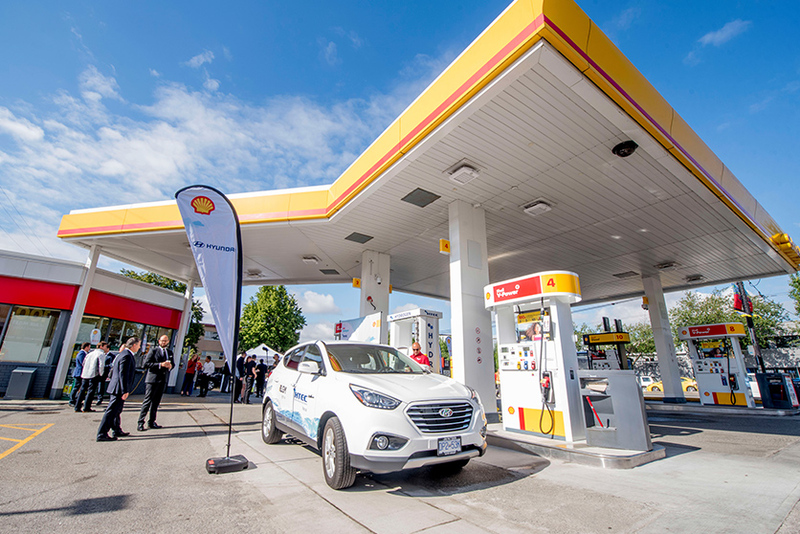 Shell Fleet Solutions is committed to offering customers a convenient one-stop-shop for all of their mobility needs from EV charging, LNG and Shell FuelSave Diesel and gasoline to toll payments and, increasingly, carbon offsetting. In 2018, Shell acquired a shareholding in Toll4Europe GmbH, a registered provider of European Electronic Tolling Services, the next generation of digital tolling technology that will combine all European road charging schemes together in one solution. We also help our fleet customers to run their businesses more efficiently, with less carbon emissions. In 2018, our e-charging offer was launched in Germany, the Netherlands, France and Belgium with customers using the Shell Card to settle electric charging transactions. We aim to grow our revenue from services as well as our fleet solutions business; particularly in China, the USA and other parts of Asia. Convenience Retail – Our renewed focus on convenience is central to our mission of making our customers’ journeys better. Shell Retail has commenced a global programme to improve our convenience offer for customers worldwide. We are teaming up with well-known brands such as Coca-Cola, Costa Coffee and, most recently, celebrity chef Jamie Oliver to improve our food-on-the-go offer. This is an important and growing part of the Retail business. For example, in some markets the share of non-fuel transactions has surpassed the share of fuel transactions. Digital – The breadth of our operations gives us opportunities to connect with our customers in the online and offline worlds, and increasingly we are merging the two. The Shell App – formerly the Shell Motorist App – has around 1 million active users in 36 markets and was the first mobile fuel payment service that allowed customers to pay for fuel from their mobile phones. Another world first was our in-car payment system with Jaguar Land Rover, launched in the UK in 2017, making it possible for drivers to pay for fuel from the touchscreen of their car. In 2018, we joined forces with General Motors to offer motorists a similar service in the USA. We are also testing a number of innovative digital pilots, including food and drinks delivery from Shell stations – ordered and delivered through Deliveroo, on-forecourt digital ordering, and artificial-intelligence (AI) in Singapore and Thailand to identify and respond to HSSE risks on site. Shell TapUp is an app-based fuel delivery service for fleet business customers in the Netherlands, and we are introducing a similar service in the USA. These differentiators translate into a high and steady growth rate for the Shell Retail business, demonstrated by its continued growth since 2013 with a compound annual growth rate of 7% and return on average capital employed exceeding 20%. As one of the largest retailers worldwide, Shell Retail is uniquely positioned to capitalise on major trends in mobility and convenience retail. Our network keeps growing and, by 2025, we are planning to have 55,000 Shell stations in more than 90 countries, reaching more than 40 million customers every day. [A] Source - IPSOS, Global Customer Tracker & Kantar TNS, Global Retail Tracker – Shell analysis based on GCT, an independent survey conducted by Ipsos across nine markets in 2018 and GRT, an independent survey conducted by Kantar TNS across 64 markets in 2018. The Lubricants team works directly with our refineries, for example at the Pearl GTL plant in Qatar where we use Shell PurePlus™ technology to manufacture our ultra-low viscosity grades made from natural gas. These innovative base oils deliver fuel economy benefits and lower carbon emissions. Providing jet fuels and lubricants to airlines worldwide, Aviation is highly integrated with our trading teams. We trade more jet fuel than almost anyone else and pride ourselves on our pioneering and innovative approach to helping customers grow their business. Our Bitumen and Sulphur businesses are integrated with our manufacturing and upstream assets, delivering bitumen from Shell refineries in Europe and Asia, and sulphur from our refinery and gas assets around the world. Our marine businesses provide integrated business solutions ranging from lubricants and fuels to liquefied natural gas to help optimise our customers’ operations. The backbone of our success is our innovation in technology delivered by more than 200 scientists in four global research and technology centres. Global Commercial invests more than $100 million a year in research and development (R&D). We invest in a pipeline of digital ventures, managed as standalone businesses with a culture of customer focus and fast development. We combine a start-up culture with the power of a global leader with extensive industry knowledge. Lubricants - Active across the full value chain, we manufacture and buy a number of base oil grades and blend them with additives at Shell-owned or joint venture blending plants, creating a range of branded products with unique specifications. We then market, sell and distribute those products, either ourselves or via partners, in approximately 150 countries. We have around 1,200 accredited distributors that enable us to serve customers in remote areas as well as sectors and customer segments which require close proximity. We sell to individual consumers and to business customers. With the Jiffy Lube® franchised service centres, which we own, we service motorists across North America directly. We sell about 5 billion litres of lubricants a year, roughly one third of which goes into passenger cars and two thirds is for industrial and heavy-duty use. Seven of the world's 10 largest car manufacturers chose Shell as their main lubricants supplier. Shell is also co-engineering with auto original equipment manufacturers around the world, such as Mahindra, to develop specialised lubricants to make electric vehicles more efficient. Our partnerships with Ferrari (F1), BMW Motorsport (DTM, USCC, 24-hour Nurburgring), Penske Racing (Nascar and Indycar), Hyundai Motorsport (World Rally Championship) and Ducati (MotoGP) help us to continually innovate for higher performance lubricants – using the test bed of racing. 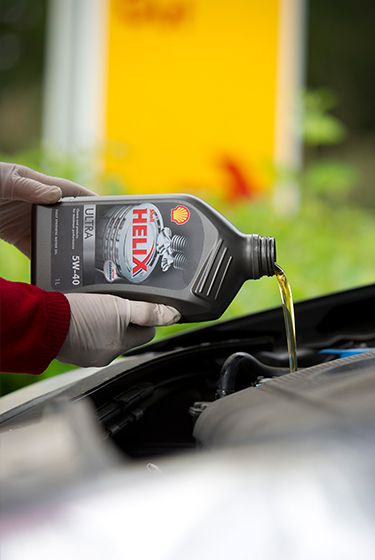 Shell Lubricants has been recognised as the global market leader for 12 consecutive years, commanding the highest brand preference for both passenger car motor oils and heavy-duty engine oils. This accolade was confirmed by Kline & Company’s report covering the sector in 2017. Marine – Shell provides fuels and lubricants for the marine industry through its Shell Marine business. It serves over 10,000 vessels, ranging from large ocean-going tankers to small fishing boats in more than 700 ports across 61 countries. Shell Marine supplies around 180 grades of lubricants for all marine applications as well as a suite of technical services to provide the best operational solutions for marine customers. Aviation – Aviation supplies fuel at about 900 airport locations and operates across 45 countries (refuelling and lubricants presence). Shell Aviation strives to offer customers solutions to assist with reducing their emissions generated by the combustion of our products. For example, Shell invested in co-designing and creating the first-of-its-kind electric pump jet refuelling vehicle which uses electric energy rather than the truck’s diesel engine to power the fuel pump. Other examples are Shell's sustainable aviation fuel and the use of high quality, voluntary carbon credits. Bitumen – Shell is the world’s largest international marketer of bitumen, serving customers in 36 countries, and supplying enough bitumen to resurface 450 kilometres of road lanes every day. Our bitumen is used on various road surfaces around the world, from urban roads and highways, to airport runways and Formula One racetracks. Shell is a leader in bitumen technology and has developed innovative bitumen products that can be mixed and laid at lower temperatures than conventional asphalt, which helps reduce energy use and CO2 emissions. Shell was the major bitumen supplier for the Hong Kong–Zhuhai–Macau Bridge, the world’s longest sea-crossing bridge, providing an integrated bitumen solution covering the main bridge, tunnel and waterproofing. Sulphur Solutions – Shell Sulphur Solutions is one of the largest integrated marketers of sulphur worldwide and manages the complete value chain of sulphur, from upstream refining to marketing. Sulphur is an important and valuable product derived from refining and natural gas processing, and is used in applications such as fertilisers, mining and chemicals. Our patented Shell Thiogro technologies have been used to produce nearly 1.5 million tonnes of sulphur-enhanced fertilisers, resulting in increased crop yields that help feed the world’s growing population. The international market for biofuels is growing, driven largely by the need to reduce greenhouse gas emissions from transport, but also to improve energy security and support the agricultural sector. Sustainable biofuels are expected to play an increasingly important role in helping to meet fuel needs and reduce CO2 emissions. Today, we are one of the world’s largest blenders and distributors of biofuels and we continue to build capacity in conventional biofuels that meet our corporate and social responsibility criteria. The production, purchase, trading, storage, blending and distribution of biofuels are part of our everyday business. In 2011, Shell and Cosan launched the Raízen biofuels joint venture (Shell interest 50%) in Brazil to produce ethanol, sugar and electricity, as well as supply, distribute and sell transport fuels. With a production capacity of more than 2 billion litres a year of ethanol from sugar cane, Raízen is one of the world’s largest sugar-cane ethanol producers. The deal marked our first move into the mass production of biofuels. In 2015, Raízen opened a second-generation biofuels plant, which uses technology from our earlier programmes with Iogen Energy. In 2018, the plant produced almost 15.5 million litres of cellulosic ethanol from sugar-cane residues. It is expected to produce 40 million litres a year once fully operational. We continue to invest in the research and development of new ways to produce biofuels from sustainable feedstocks, such as wastes and cellulosic biomass from non-food crops. 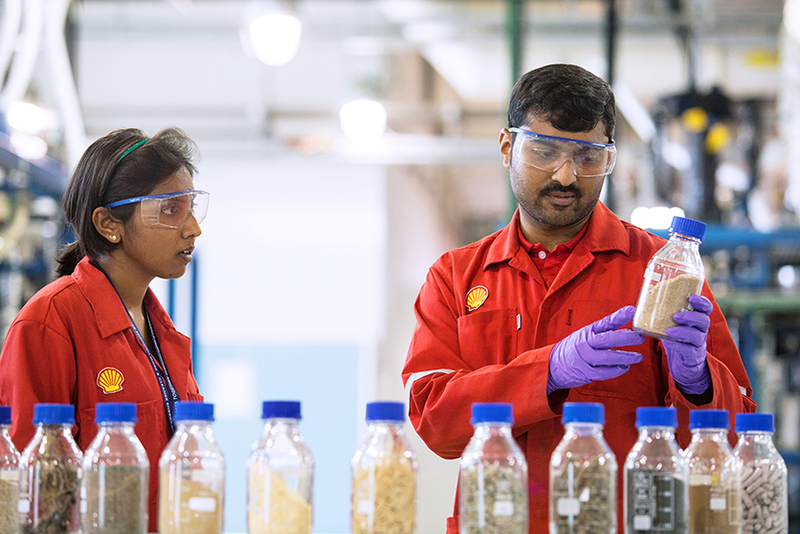 In 2017, we completed construction of a demonstration plant at Shell Technology Centre Bangalore, India. This plant will demonstrate a technology called IH2 that turns waste into transport fuel. We are also investing in renewable natural gas, for use in natural-gas fuelled vehicles. In 2018, we announced plans to expand the JC Biomethane plant in Oregon, the USA, which we acquired the same year. The plant transforms organic waste into methane-rich biogas through anaerobic digestion. Shell Pipeline Company LP (Shell interest 100%) owns and operates 10 tank farms across the USA. It transports more than 1.5 billion barrels of crude oil and refined products a year through about 6,000 kilometres of pipelines in the Gulf of Mexico and five US states. Our various non-Shell-operated ownership interests provide about a further 13,000 pipeline kilometres. We carry more than 40 types of crude oil and more than 20 grades of gasoline, as well as diesel, aviation fuel, chemicals and ethylene. 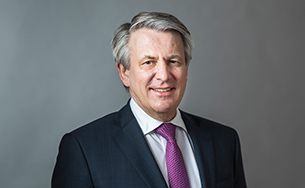 Shell Midstream Partners, L.P., a midstream limited partnership, owns, operates, develops and acquires pipelines and other midstream assets in the USA. 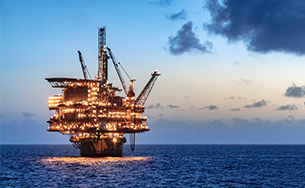 Its assets consist of interests in entities that own crude oil and refined products pipelines and terminals that serve as key infrastructure to transport onshore and offshore crude oil production to Gulf Coast and Midwest refining markets. It also delivers refined products from those markets to major demand centres. Its assets also include interests in entities that own natural gas and refinery gas pipelines that transport offshore natural gas to market hubs and deliver refinery gas from refineries and plants to chemical sites along the Gulf Coast. Shell controls the general partner.